Today, the corner of Chester and East Avenues in Kenmore is a triangular shaped plot of grass. 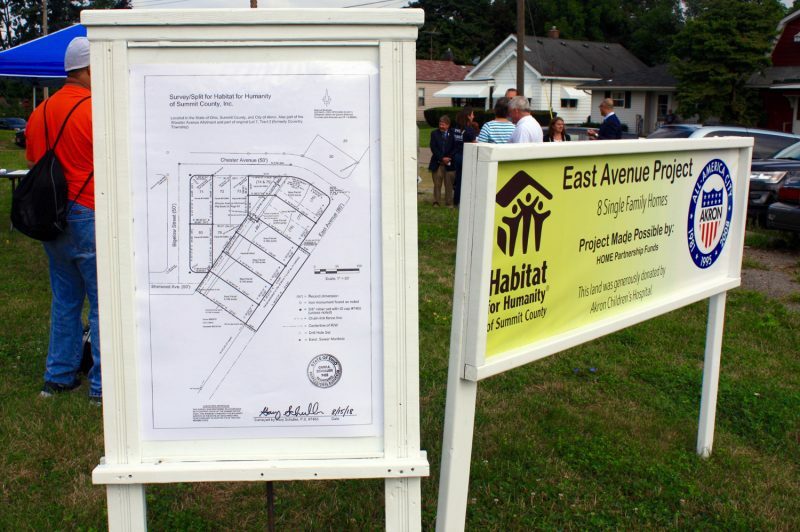 But, within 2 years, it will become a neighborhood for 8 families living in new homes thanks to Habitat for Humanity of Summit County, Akron Children’s Hospital and the City of Akron. The project, one of the largest launched by Habitat for Humanity of Summit County, was announced at a groundbreaking ceremony in August. The project will be divided into 2 phases with 4 homes built in the first year and the next 4 in the following year. The 1.3 acre parcel of land in Akron’s Kenmore neighborhood was donated by Akron Children’s, which had come to own it through a donation. The city is also providing critical support. Through its HOME Partnership Funds, the city has committed to 2 phases with $160,000 per phase at $40,000 per home. 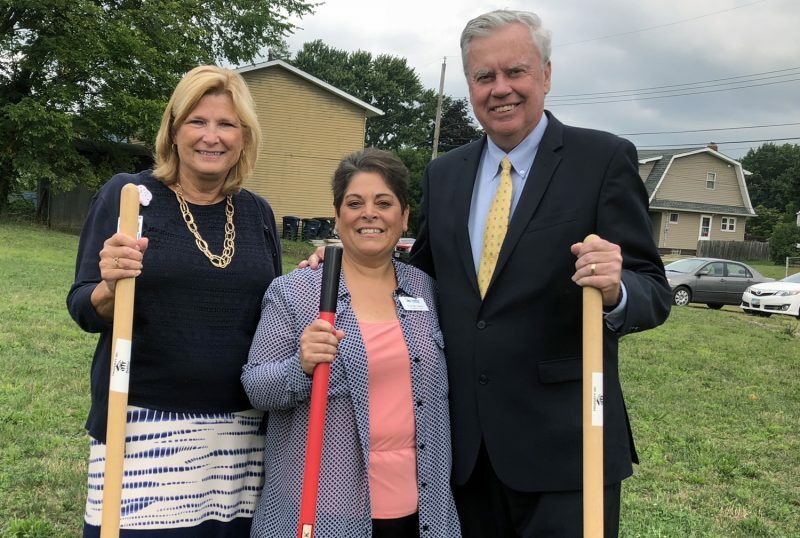 Left to right: Akron Children’s President Grace Wakulchik, Habitat for Humanity President Rochelle Sibbio and Akron Children’s CEO Bill Considine participated in the groundbreaking event. 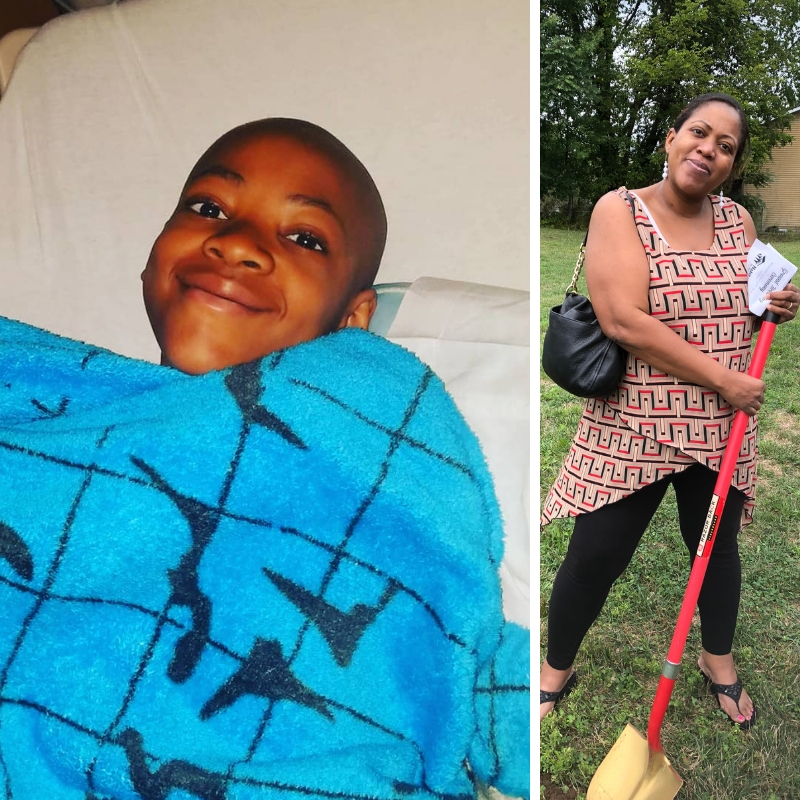 One of the new homeowners is Charnee Merritt, whose 11-year-old son, Israel, has been being treated at Akron Children’s for neuroblastoma, a cancer of the nervous system, since 2014. He had no evidence of cancer in 2016 but he relapsed this past May. As his mom Charnee works to help build their new home, Israel, age 11, is being treated for the second time for neuroblastoma in our Showers Family Center for Childhood Cancer and Blood Disorders. With all the stress of having a child with cancer, planning for her new home has been a happy and hopeful diversion, said Merritt, a home care nurse who has devoted 250 hours of “sweat equity” as part of her partnership with Habitat for Humanity. Three of the 8 families participated in the ground breaking event. Through a Habitat class, Merritt has learned a lot about organic gardening and she plans to grow organic broccoli, carrots and lettuces in a raised bed in her new backyard. “I’m a city girl – I am from Cleveland Heights – so this is truly a blessing,” she said. Since 1987, Habitat for Humanity of Summit County has built more than 200 homes with qualified low-income families, housing more than 200 adults and 375 children in simple, decent, affordable housing. 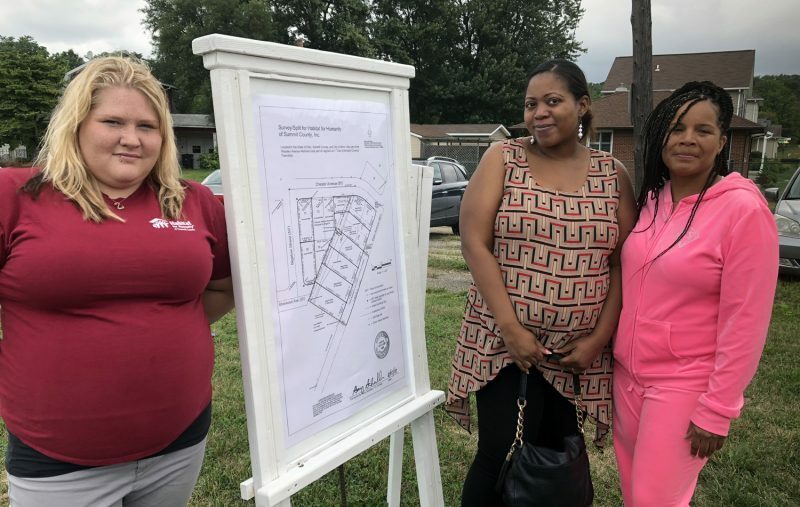 According to Rochelle Sibbio, president and CEO of Habitat for Humanity of Summit County, this is the local chapter’s largest project to date with the organization typically building one home at a time on vacant lots. This project required the assistance of a design and survey class from the University of Akron to plot the location of the 8 homes and their property lines. The city will provide the water lines and Habitat the sewer lines.